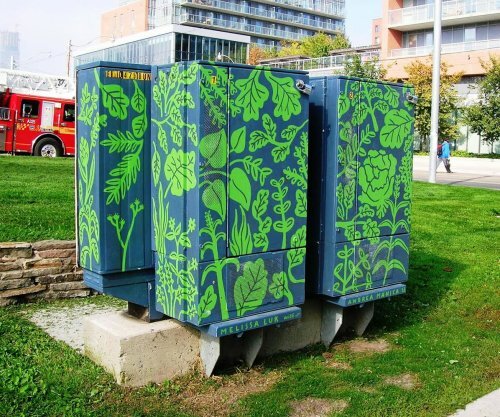 Bicycles are pretty popular amongst CSI members—in fact, the demand was so great at CSI Spadina that our members managed to get the City of Toronto to pilot the very first on-street bike-parking corral outside our front door. If you’re not already riding a bike, perhaps the appeal of predictable travel times, door-to-door transportation, freedom of movement, fun, health benefits, saving money and free parking are enough to finally motivate you to give it a try. Whether newbie or veteran rider, long time member Yvonne Bambrick has written the ultimate guide to riding a bike in the city, any North American city, and CSI alumni Spacing magazine recently reviewed it. The following is an excerpt from the Spacing ‘Sky’ issue review by Heather Jackson. 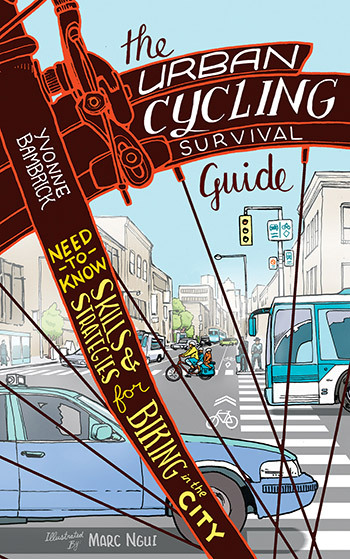 “Yvonne Bambrick’s thorough Urban Cycling Survival Guide delivers exactly what its subtitle promises: ‘Need-to-know skills and strategies for biking in the city.’ Bambrick covers all the basics from how to choose a bike, what to wear, and rules of the road to hazards to avoid and bicycle maintenance. She also covers specifics such as cycling while pregnant, pedal-powered rides for the elderly, and biking with your dog. Each chapter is detailed and unbiased as Bambrick presents the reader with all options, giving readers the ability to make informed decisions about urban cycling. Each chapter is packed with clear explanations, advice, checklists, diagrams, and references. In ‘Gearing Up’ Bambrick explores every type of bike imaginable, plus a few bikes that even I—a self-proclaimed bike nerd—hadn’t thought about. ‘Navigating the Streetscape’ includes helpful pictures illustrating the blind spots of a car and large truck. And the chapter on ‘Common Cycling Setbacks’ has a checklist of what to do if you’re in a collision. It can be as big as a 250-foot mural, as small as a painting on a nondescript utility box, and as ephemeral as a mob of “gangsters” descending on a subway car to play ukuleles for unsuspecting morning commuters.